Thank you for your interest in my translation or editing services. I am a bilingual (Portuguese and English) author and editor. I have translated several literary authors between these two languages. 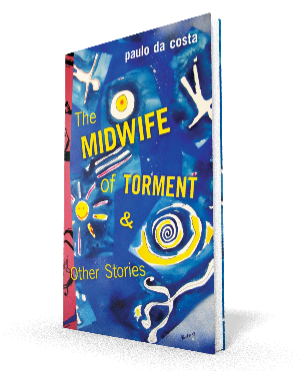 I am also a published award-winning literary author in both English and Portuguese. With twenty years of experience in translation and fifteen as a professional writer, I have helped edit manuscripts by other award winning literary writers. Whether you are seeking a competent translator for your literary project or your commercial and corporate translations, I have the skills and experience to deliver the work in an expedient manner. If you are interested in my services and expect a high standard of quality for your project, please contact me through the form below. I would be delighted to discuss your expectations and goals for your specific project. I am a member of The Writers Union of Canada and the American Literary Translators Association. English to Portuguese – Margaret Atwood, Michael Ondaatje, Gary Geddes, Patrick Lane, Marilyn Bowering, Agnes Walsh, Richard Harrison, rajinderpal s. pal, Shane Rhodes, Weyman Chan, and Joelene Heathcote. Portuguese to English – Al Berto, Nuno Júdice, José Tolentino Mendonça, Rita Taborda Duarte, Jorge Sousa Braga, Eduardo B. Pinto and Daniel Faria. Brazilian poets: Mauro Faccioni Filho, Reynaldo Valinho Alvarez and Ricardo Corona. Angolan poet, Ana Paula Tavares.